An amazing amount of powerful and practical information that works with any Bible in your PC Study Bible Library. By Finis Jennings Dake. 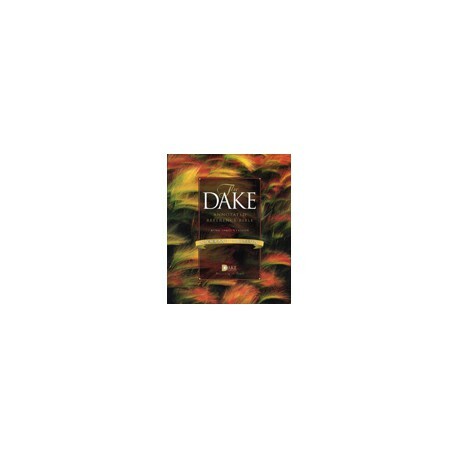 The Dake Reference Bible Notes is like no other study note set on the market. More than twenty years of painstaking research went into it. With 35,000 commentary notes, 500,000 cross/chain references and 9,000 outline headings, the Dake Reference Bible Notes truly gives you a wealth of resources for your personal study as well as sermon and lesson preparation. Yet it's not just the raw number of notes, references and headings that sets this massive study reference apart. It is what these tools can do for you. Thousands of passages are amplified. Obscure readings are made clear. Ancient customs are explained, along with matters of history, culture and geography. Greek and Hebrew words and idioms are examined. In addition, parables, types, symbols, allegories and figures of speech are comprehensively explained. Dispensational issues are treated in a systematic fashion, along with hundreds of details of biblical prophecy. In its published version, The Dake Annotated Reference Bible uses the King James Version. With PC Study Bible, you are free to view the Dake Reference Bible Notes in the study notes pane with any Bible translation installed in your library. You can also click on any of the linked references cited in Dake to go directly to that reference. If for example, you wish to further explore a Greek or Hebrew word profiled in a study note, just click on that word to access all available lexical information in your library*. You'll be amazed at how much you can draw out of a passage, in very little time, with the focused searching power of PC Study Bible. Plus, in PC Study Bible Version 5, all of the content in Dake Reference Bible Notes is available to be accessed by Bible book/chapter/verse reference, or from a table of contents view in the left-hand navigation panel. No more searching through supplemental material to find introductory sections or the charts and outlines associated with a particular content section. Don't wait to take advantage of the extensive reservoir of practical and fascinating information waiting for you in the Dake Reference Bible Notes.